S 1/c Ashford M. Nicholson, son of Mr. and Mrs. C. T. Nicholson, Jean, husband of Edith G. Moore, Odessa, Texas. 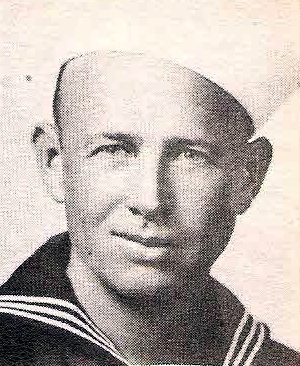 Entered Seabees in 1942, trained at Williamsburg, Va. and Port Hueneme, Cal. Served in Russell Islands and others. Discharged in 1945.